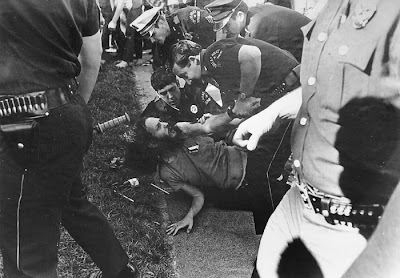 Stoney Burns is arrested by Dallas Police officers at Lee Park on April 12, 1970, after what The Dallas Morning News called "a clash between law officers and young people" that "occurred when police tried to arrest several hippie-types" at the park. Image from The Dallas Morning News. See "Stoney Burns used a gentle wit to fight injustice in Dallas," by James McEnteer, Below. 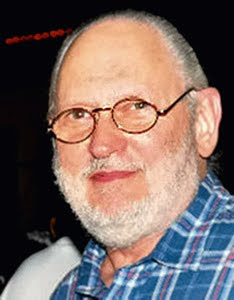 Sixties icon Stoney Burns passed away Thursday morning, April 28, 2011, in Dallas. Our mutual friend, Angus Wynne, informed us that Stoney died at Baylor Medical Center “of a sudden, massive heart attack.” Burns, 68, was buried on Sunday at the Shearith Israel Cemetery on Dolphin Road in Dallas. Stoney, who was born Brent LaSalle Stein, was a Sixties activist/journalist and pioneer of the underground press in Texas. When we were publishing The Rag in Austin and Space City! in Houston, he edited a series of publications in Dallas, including Dallas Notes and the Iconoclast -- and later the music magazine, Buddy. In its notice about Burns' death, Pegasus News referred to Stoney as the "King of the Hippies." In an April 29 article, The Dallas Morning News said that Burns' Dallas Notes "decried war, intolerance and hypocrisy with a playful aggression and a cutting edge." Stoney was incessantly harassed by the Dallas authorities, who charged him with obscenity, beat him mercilessly, tore up his offices, and confiscated his equipment. According to The Rag Blog’s David P. Hamilton, four Dallas police cars followed him for several miles after one visit to Stoney’s home. In 1974, Time Magazine wrote, "The law in Dallas, from all appearances, had been bent on getting Stoney Burns for years" when they "found in the glove compartment a tiny stash of marijuana. It was barely enough for one or two joints." But it was enough to get Stoney a sentence of 10 years and one day -- time he never served thanks to Texas Governor Dolph Briscoe who commuted the sentence. Angus Wynne told the Dallas Observer that Stoney Burns had "gone through so much, between his public battles and private ones, and turned into a sweetheart. He'd had [an earlier] heart attack and cancer and whipped all those... He was just a great guy, one of the generalissimos of the so-called revolution back then. There was something real special about Stoney..."
Stoney Burns. Photo courtesy of Angus Wynne. Stoney was not just a brave man -- facing down the rigid Dallas Establishment in large part all by his lonesome -- but a funny one. He used his gentle wit and sense of the ridiculous as effective weapons for social justice in 1960s Dallas, just about the unfriendliest territory imaginable for stoned longhairs looking to have a good time. Stoney loved a good time -- good music, friends, and laughter. But his easy-going sense of the absurd enraged the humorless conservatives in the Dallas Police Department who considered his satire of local laws and his criticism of usually unmentioned overbearing police tactics as unacceptable threats to their sense of law and order. Stoney became a cause and a crusader almost by accident, as the sole occupant of the void left by jackboot censorship of all but the most orthodox right-wing cant in the Dallas media. 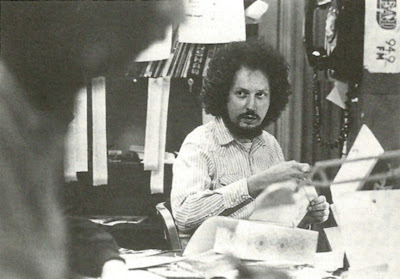 Stoney Burns in the Iconoclast office, 1972. Photo courtesy of Stoney Burns from Fighting Words: Independent Journalists in Texas, by James McEnteer, University of Texas Press, 1992. His Notes from Underground started on the SMU campus and was quickly banned. He was the only journalist to describe and photograph police harassment of peaceful long-haired young people in Dallas parks. 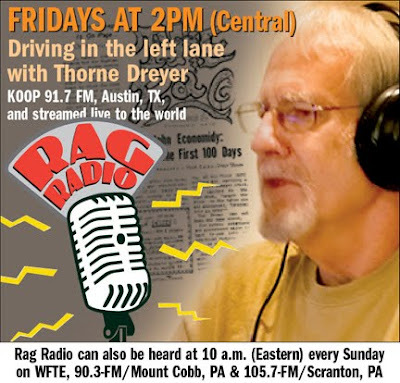 His various newspapers took different names over the years, but were always an eclectic mix of music reviews, social commentary, and jokes at the expense of local officials, reflecting Stoney's own sensibilities. His papers featured outrageous cartoons, guaranteed to offend the white bread, church-bred Folks who Mattered in Dallas. Stoney always professed bewilderment at the passionate hatred his dopey humor aroused among otherwise rather staid, affectless citizens. The brief, final incarnation of Stoney's journalistic ambitions was a paper he called The Iconoclast, in homage to the Waco rabblerouser, William Brann. The police harassed Stoney Burns for years, wrecked his newspaper offices, stole his equipment, planted dope on him, and tried every which way to shut him up, finally hounding him into prison for 10 years and a day on a trumped-up charge of marijuana possession, which the governor later quietly dismissed. But Stoney's abbreviated prison term ended up accomplishing its goal of silencing a genuine independent voice of Dallas journalism. Stoney went on to publish Buddy, about the local music scene, but made only occasional, rather vague political comments in subsequent years. Stoney Burns brought light and fresh air into Dallas public discourse of the 1960s. Despite the strange (to him) resistance his journalism conjured in the authorities, Stoney had the courage to continue telling the truth as he saw it for seven years. He served as an inspiration to many in his own community and beyond, revealing the cowardice of a system ruled by intimidation, not by public assent. He opened up the acceptable limits of free speech in 1960s Dallas. And he paid a price for it. Dallas and Texas and the country are in Stoney's debt, now as then. Stoney's courage and humor are needed today as much as ever. His spirit will always be worth remembering. Brent Stein (aka Stoney Burns) in the 1962 Hillcrest High yearbook, Dallas. Image from Dallas Observer Blogs.